Cornelia Mutel is an ecologist and the senior science writer and archivist for the IIHR—Hydroscience & Engineering, a unit of the University of Iowa’s College of Engineering. She sat down for this On the Fly interview in 2011. 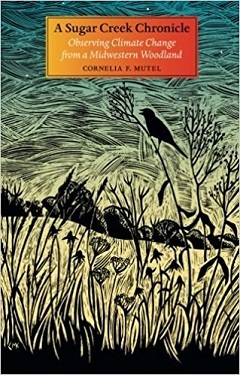 Mutel is the author of a number of books, including The Emerald Horizon: The History of Nature in Iowa and A Watershed Year: Anatomy of the Iowa Floods of 2008. She and Robert Ettema are the authors of 2014’s Hans Albert Einstein: His Life as a Pioneering Engineer.